This video was just too fun to shoot! Yolenda and I had been meaning to collaborate for awhile after meeting a couple of years ago. 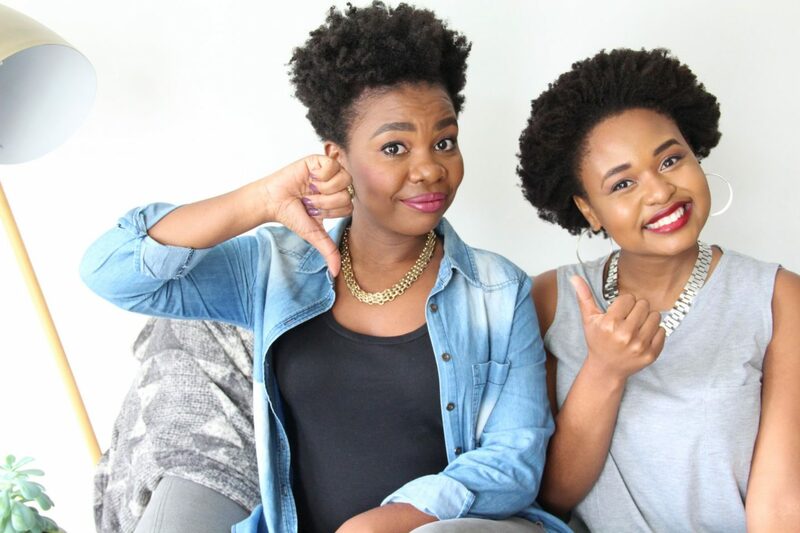 So we decided to finally do it and created our very own YouTube-tag-like video as we chat about natural hair trends and techniques and deciding if they’re a hit or a miss. Is pre-pooing all it’s cracked up to be? Is laying your edges an absolute must? Have a watch of the video and share some of yours with us. I know everyone says this these days, but really do grab a cuppa and join us, because we’re sipping our tea too! I’m beyond thankful to everyone who watches my videos, comments, rates and subscribes to my channel. Please keep it up, I so appreciate the support! Hi Aisha, please can you do a blog post/video about different types of hair. For example 4a, b, c. This will help so much so we know which hair type we have. Hi aisha, I really have an issue here, my fro is at about 10 inches now and de tangling is defeating me even with conditioner or maybe i’m using the wrong kind of conditioner. Please help, how can I make detangling easier. What a great video ladies! Loved it..
For me hair typing is definitely a miss…I don’t even know what my hair type is. I just use and do what is good for my hair period.